Philippe Ginfray - Esther van Praag, Ph.D. The problem of congenital fused vertebra in the tail is not much described in rabbits, except for toxicological studies in pregnant does. The newborn rabbits had fused vertebra in the tail or at the thorax level. This fusion thus happens during the development of the embryo and is present when born. · Pressure on the spine regions located above or under the fused vertebra. · An abnormal elongation of the nerve root that emerges out of the fused segment. Depending on the affected region of the spine, it can lead to neurologic problems. · An angular deformation of the spine. Few skeletal problems have been observed in Flemish giant and other bigger rabbit breeds with a strong skeleton and heavy body, which have a big body growth over a longer period of time. The most known and frequently seen are hip dysplasia and degenerative spondylosis (spine arthritis), which appear as soon as age 4. The latter is caused by a degeneration of intervertebral disks and leads to the fusion of adjacent vertebrae. 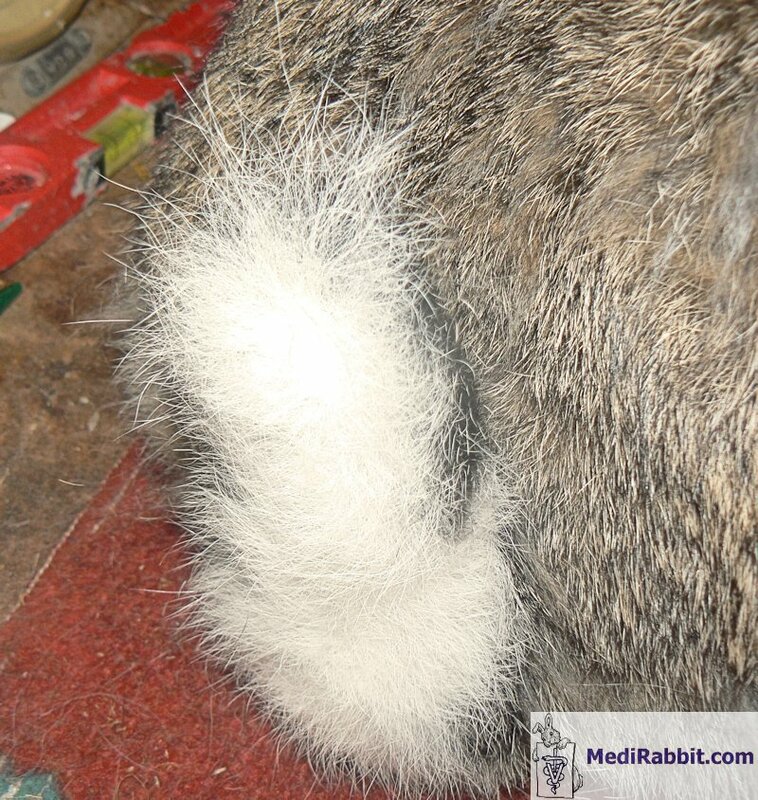 This disease has been observed at all levels of the spine in rabbits. 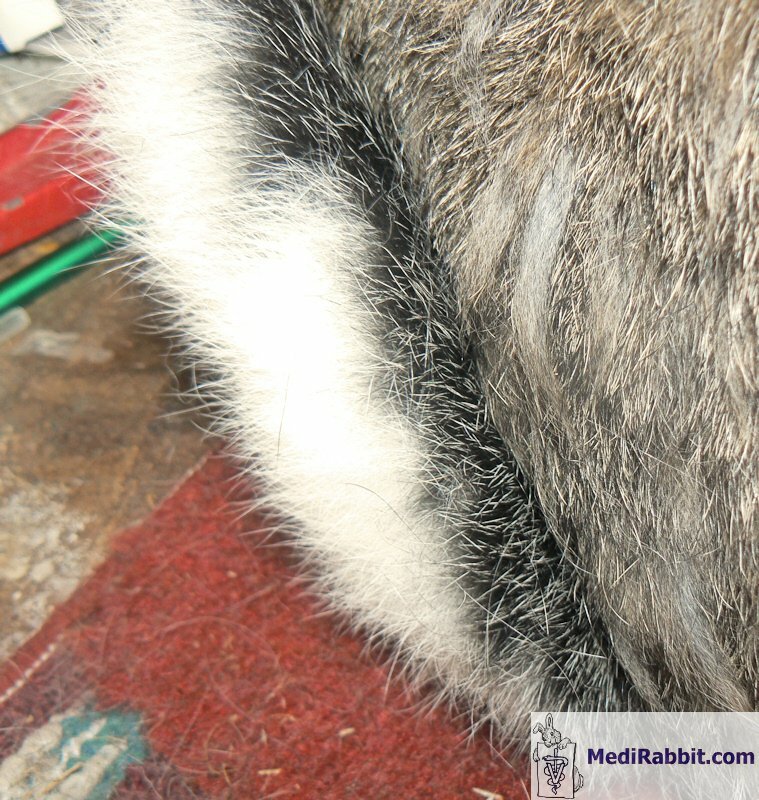 If it occurs at thoracic or lumbar level, the rabbit will move less and with more difficulties, groom itself less and the perianal region may be soiled with urine and droppings. At tail level, it should not cause problems. It happens that the issue of fused vertebra appears suddenly in rabbits, after the introduction of a new buck. If the problem occurs regularly among the offspring, this trait is inherited. A big thanks to Philippe Ginfray (France) for his pictures.